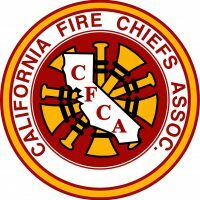 The content available through this Website, including all information, articles, reports, databases, graphics, interfaces, Webpages, text, files, product names, company names, trademarks, logos and tradenames contained herein (the “Content”), is the sole property of California Fire Chiefs Association (the ” Association “) or its licensors and is protected by copyright, trademark and other intellectual property laws. Except as otherwise explicitly agreed in writing, Content posted on and/or linked to from this Website may be downloaded, displayed, reformatted and printed for your personal, noncommercial use only. Content owned by the Association’s licensors, including without limitation any images posted herein, may be subject to additional restrictions. You agree not to reproduce, retransmit, distribute, disseminate, sell, publish, or broadcast the Content in any form, by any means, in any media now known or hereafter created, or to circulate the Content to anyone, including but not limited to others in the same company or organization, or to create derivative works based upon such Content, without the Association’s express prior written consent.